For Muslims in the West especially those who become militant, the question of authority or the lack of it, is an important question. I will use the story of Aine Davis to illustrate some of these issues that young Muslims are grappling with. It always always starts the same way, ask most neighbours about their Jihadi next door and they usually say nice things about them. Khurram Bhutt for instance, used to invite neighbours in for barbecues before going on a knife rampage with friends in London Bridge. Aine Davis who ITV News revealed to be one of the Beatles was also according to a friend a “genuinely a nice guy who lost his way.” But how did they get there? What are the moral choices that they made? These are questions which gets swallowed up when the initial story breaks, there is simply no time to reflect, coupled with conflicting emotions it is difficult to keep perspective. When ISIS threatened to poison the water of my city, London, I was in Paris covering the Bataclan massacre. How can one be philosophical when one thinks about the impact such a threat might have on one’s family? In the age of twenty four hour rolling news coverage the story often becomes one of tropes, the same experts and advocates offer the same explanations which on reflection might be hollow. Now that the story is in its third year and there is a greater understanding of the phenomenon one can afford to be a bit more philosophical. I don’t believe Davis was inherently evil when he committed his despicable acts, for that would be to grossly misunderstand and caricature human nature, nor do I believe that Muslims whether devout or non-devout, become Jihadists of the ISIS variety overnight. Neither do I accept on face value the foreign policy argument, though I accept it to be an ‘exciting’ factor in many of the cases I have covered. Radicalisation is not a disease that can be treated as if it was a medical condition after all. Piece together Davis’ story and it is one of profound alienation and a search for an anchor that stabilises him. Parallels of his life can be found in a Richard Wright novel. Davis grew up in and around Shepherd’s Bush in the days when crackoholics congregated on its park benches singing redemption songs and rats ran across the green as if they were filled with songs of freedom. The rats did not care that men walked amongst them until Westfield shopping mall came to Shepherd’s Bush. Davis got to know all the estates in the area: Trellick, Grenfell, Mozart and all the others towards Acton, Harlesden and Kilburn. Davis’ father, ‘Benno’ was reportedly a ‘player’ and was blessed with plenty of progeny. Davis was of Gambian descent on his father’s side and Hispanic Cuban on his mother’s side. But Benno wasn’t around and Davis was raised by his mother, Faye Rodrigues, a humble dinner lady. His mother found him difficult, so part of his childhood was spent in Gambia where he was raised by his paternal grandmother in the hope that she would instil some African discipline in to him. But the young Davis did not adjust well to life in Gambia and he returned to the UK when he was eight. As he grew to manhood, Davis tried to escape social deprivation. He showed remarkable entrepreneurial spirit but it was misplaced in criminal ventures. He made the sort of decisions that many young men take on the road to adulthood, only difference for him was that there wasn’t anyone to hold him to account. There wasn’t an old man who would tell him the score; teach him right from wrong. A middle-class kid could mess up but the ambition to succeed, the cultural capital was there from inception, even if he did go off the rails for a while. For Davis’ and many others like him growing up in some of the poorest parts of North Kensington, this wasn’t the case. The values he learnt on the road was based on aggression and making sure one’s respect was always maintained because that was the only capital you had. Davis lived the modern equivalent of what the Arabs and Muslims refers to as Jahiliya, the pre-Islamic notion that expected every slight to be repaid with a thousand more retaliations. If you stole his herd he’d take your flock and enslave your women in order that you did not aggress against him- ever. These practises led to inter-generational blood feuds just like they were played out in gangland London. In 2003, the Metropolitan police noticed that there were a spate of shootings involving replica guns, Mac 10s, semi-automatic handguns which were being converted and sold to London gangs. Many of these shootings were classified as black on black crime. Workshops that converted replica guns flogged them to the British underworld by way of middle men. Davis was one such middle man, now known as ‘Biggz’. He was making quick money from shotting drugs and delivering weapons to gangland London. In 2004 he jumped into a cab to deliver a hand gun when he was arrested and later convicted at Southwark Crown Court and ended up in Feltham young offenders for two years. His story wasn’t unique but a common one for roadmen. In fact, his destiny was not un-similar to Jafar Turay or, as he was known, Joel Kelvin Daley. Both ended up in Syria. Some attributed Davis’ radicalisation to his bird time, but according to Imam Abdullah (name changed), a former prison chaplain who worked in Feltham Young Offenders around the same time, the prisons were well funded and well managed; he denied radicalisation was a problem at the time. From the prisoners that this author engaged with from Feltham, none said that prison was a place where they had been radicalised. Rather, it was a place where you had a lot of time on your hands, where you could think, reflect and take stock of the direction of one’s life. According to Imam Abdullah, religion was seen at the time as a positive element in directing the lives of inmates. What happened to Davis after prison was far more crucial in him becoming a soldier of the Caliphate. Davis seems to be inherently unstable. According to a friend, “he had a lot of moral dilemmas, he was a serial clubber and drug dealer” at the same time he would pray at Al-Manar Mosque and others; he prayed five times a day and yet at the same time poisoned the lives of countless users through his drug dealing. A community elder recalls him being very gentle, a very good odd-job man but also extremely insecure and fragile. It is easy for converts like Davis to be swallowed up by the various currents and ideas that coursed through the Muslim community. Whilst Jihadism is a very weak current in the UK Muslim community, in West London, it was certainly present. Moreover, the idea of political authority and the lack of a caliphate existed within political discourse since the 70s and 80s in the West. But for the likes of Davis, a black Muslim with a prison record, conversion was a particularly lonely route the he had to traverse. Despite the fact that Islam is the fastest growing religion in the UK, support for new Muslims is woefully inadequate. Converts face so many challenges, but those from the Black or Afro-Caribbean community more so, because of racism plain and simple. Often the South Asian and Moroccan community would treat the Black convert differently from his white counterparts. A lot is to do with their pasts and also the social stigma attached to being black in those cultures. Despite Islam prohibiting racism, ‘Blackness’ in many Muslim cultures was associated with social status, ancestry and lineage. Even now, a Saudi will refer to an Afro-Caribbean person as an ‘Abīd’- a slave. Being of ‘Abīd’ stock meant being a descendant of a slave, and despite one’s merit some families wouldn’t give their sons or daughters due to the perceived stigma attached to having slave ancestry. This, it should be added, didn’t just apply to ordinary mortals like Davis. It also applied to the great pre-Islamic epic heroes in Arabic literature; Antara ibn Shaddād whose deeds were immortalised in the Mu’allaqat, the Seven Odes that were hung on the doors of the Kaaba in tribute to their eloquence. Nevertheless, even Antara ibn Shaddād, despite his superhuman bravery could not escape his slave ancestry. and so in West London, mere mortals like Davis found out that despite his conversion which was supposed to wipe out his past sins, he suffered from the same predicament as Antara ibn Shaddād, both could not escape their lineage. For the Muslim might come up and give the convert a hug, listen to his story of conversion and marvel at God’s mercy but when it came to real support, there was little on offer. Often new converts marry into the Muslim community because it anchors them and grounds them until they find their own way. If they are white converts from middle class backgrounds they are far easily accepted, but when it comes to a black convert with a prison record to boot, asking for a daughter’s hand in marriage is similar to Turkey wanting EU membership, a near impossible feat. Davis to his credit, in the end managed to cross the hurdles to get married to Amal el-Wahabi, but her family disapproved. Naturally no father, unless he be Pablo Escobar, would be keen on a small time drug dealer for a son-in-law. Amal though was no angel herself, nor was she that rock that could stabilise this contradictory vulnerable personality, for Amal herself was described by her own lawyer as a “cannabis smoking kaffir”. Throughout this marriage we see Davis, or Hamza as he was known, trying to avoid the pitfalls of faith. There was no authority, no mentor, no Imam who could guide him or help him. Authority was absent in his life. We find Davis incessantly searching for that certitude that religion often provides to its devotees. Davis travelled abroad looking for the place where he could study with his wife. They lived in the UAE and Saudi Arabia in 2007, in 2008 they moved to Yemen and returned back to Saudi Arabia in 2009 and the same year travelled to Egypt and to Turkey in 2012. There was no structure to his learning, there was no sheikh he studied under. What is noteworthy during his time of sojourning in Dammaj, Yemen, is that he tried to make contact with AQAP as he told his friends, but that too had failed. It was a clear indication that he had abandoned traditional authority figures who pontificated to the Muslim laymen. Court documents reveal that Davis followed the sermons of Anwar al-Awlaki and other radical preachers such as Abu Hamza and showed an interest in Somalia and guerrilla warfare. Davis, like many young Muslims, had lost faith in traditional religious authorities. Partly because they were sons of the West and did not instinctively revere religious authority, and partly due to the perception that these religious figures were meant to stand up for the weak and the oppressed. Instead of giving vent to the sighs of the oppressed they appeared like an opiate to control them and keep the Muslim masses docile. Religious authority no longer stood up to power but rather bolstered it. This breakdown of religious authority meant that all sorts of people were cropping up claiming absurd things: the late Abu Humam al-Athari for instance claimed to be caliph in Peshawar whilst living in a council house in Lisson Green in the 90s. Hani Siba’i, a man who would at best be considered a historian, could be seen as a religious sheikh, Abu Mus’ab al-Zarqawi a man with limited educational qualifications penned fatwas. Thus Dr. Ayman Zawahiri, a medical doctor, Osama Bin Laden, a construction magnate, were treated with the same reverence reserved for religious authorities who had spent decades studying the religious sciences. Now men claimed authority solely on the virtue of their fighting experience. This was an unprecedented and thoroughly modern development. Since authority was not respected, it was also easy for all and sundry to undermine each other. Take for instance the late Turki Binali the young Bahraini ISIS scholar who denounced his former teacher, Abu Muhammad al-Maqdisi, for selling out whilst al-Maqdisi himself was in the process of denouncing others for selling out! The mind boggles at these multiple denunciations. 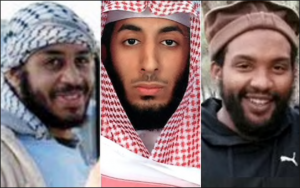 It is within this crisis of authority, the multiple nodes of people all claiming to represent Islam, that the likes of Davis could see Abu Bakr al-Baghdadi as his rightful caliph. 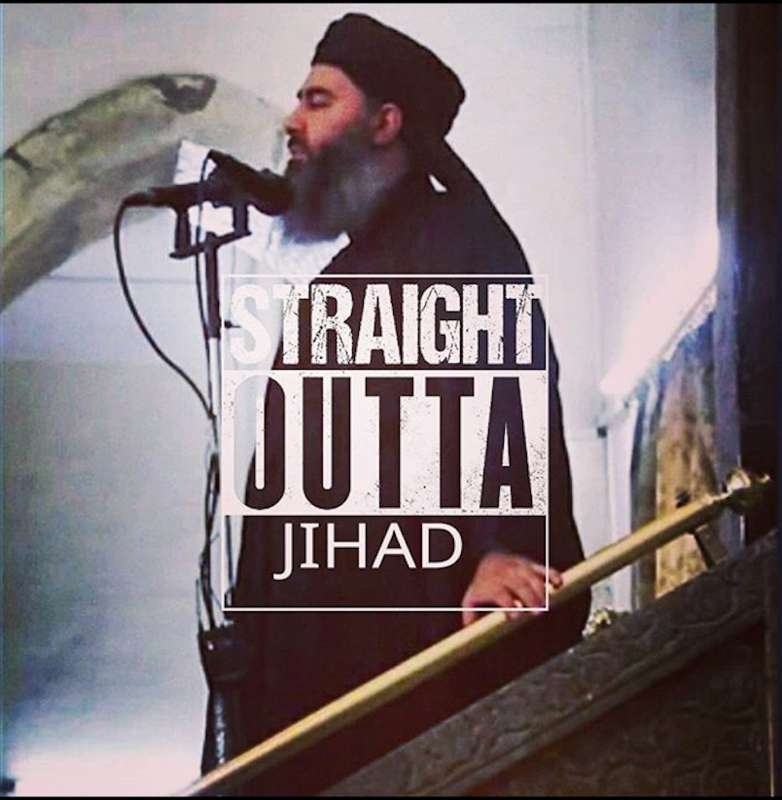 Baghdadi may have taken on the garbs of pseudo-authority, but to an extent he had better scholarly credentials than Bin Laden, his lineage was from the family of the Prophet and he had military experience- that was enough. Baghdadi drew on classical notions of authority to claim his caliphate and seduced many young Muslims, including of course Davis to join him, just as Abu Human al-Athari had done in Afghanistan with a small minority of young men. Whilst Davis abandoned traditional authority, he remained a volatile character. According to a friend, after his wife fell pregnant they returned to London and he lapsed back into his old ways of drug dealing and clubbing. His marriage began to fall apart. Had it not been for him meeting Alexanda Kotey, a convert and former drug dealer, and the fact that Syria broke out in 2012 perhaps he would be in jail again. Like Ibrahim Hussein and others mentioned in a previous post, he got involved with aid convoys being sent to Syria, but pretty soon Davis’ mind fell to the question of Jihad. He was one of the earliest British fighters to travel to Syria. According to his wife’s testimony his road to Syria was about redemption due to his “being a bad person” but I would argue that it was also about this search for authority. Syria anchored him and gave him the goal that Davis was searching for all his life. The first time he entered Syria was in 2012 with Nassim Terreri from Portobello road. Initially, Terreri and Walid Hussein Blidi had claimed they were freelance journalists but it transpired that they were with the nascent Free Syrian Army. Davis was there when Terreri died having fired at a regime convoy and getting caught in a fire fight. The experience was deeply traumatic and Davis returned to the UK. By this time, March 2012, Davis already had a Turkish exclusion order as well as identity monitoring warrants. And yet surprisingly, on 28 July 2013, he was on a flight to Amsterdam catching a connection to Turkey without being flagged up by the British or the Turkish authorities. He entered Syria unofficially and was picked up in Kafr Takharīm by some of his friends one, Abu Saeed. Davis went from Hamza to adopting the nome de guerre Abu Ayoub and confined himself to Atmah because he couldn’t join up with ISIS. In Atmah he was tolerated by British Nusra fighters because the situation between the groups was at the time tolerable. Authority for Davis was the key to Syria’s problems, not the removal of Assad in Damascus. Davis entered ISIS territory with open eyes. During his time in Atmah, he was often seen on the phone to his family. He became an emotional wreck after his wife was arrested for smuggling a wad of cash in her underwear alongside Nawal Msaad who was acquitted. Against the advice of the British fighters he thought about turning himself in to the British authorities but the Nusra fighters talked him out of it stressing that the UK authorities would lock him up and throw away the keys. Instead of staying in Atmah he returned to Konya, Turkey, where he settled hoping that maybe he could bring his family over. It is un-surprising that Davis settled in Konya instead of Gaziantep or Hatay, the usual places where foreigners settle. The prosperous city is socially and religiously conservative and a shrine to the great Muslim saint Rumi. Konya was overwhelmingly Sunni and didn’t have a large Alevi population like Hatay and Iskenderun. The Alevi population was often viewed by rebels as being in league with Assad and so many foreigners settled in Konya without attracting much suspicion from the local populace. The city also had a tradition of Jihad, according to a local, Abdallah Darnaki, Konyans have fought in all the major ghazawats from Afghanistan to Syria. The only concern for the former Sufi turned Salafi was the fact that so many of its sons were joining ISIS. He said that over a thousand fighters had joined the fight for Kobani. Al-Monitor has also revealed that there were Konyans serving as ISIS emirs. It was from Konya that Davis made his way to Raqqah through Tal Abyad and joined the Islamic State, according to a fighter who called himself Abu Sulayman. From here it becomes murky as to what he got up to. In fairness, Davis denies ever being part of the Beatles. Court documents that this author has seen, shows Davis denying that Jihadi John, Mohammed Emwazi, was his friend and they only encountered each other in the local mosque in Ladbroke Grove for prayer. That media portrayal of him are patently false including the accusation that he was in charge of the prison where the hostages were held. In fact, he denies ever being a member of ISIS and was not in contact with commanders or militants there. He had simply entered Syria to help its people and returned when he witnessed the wrongdoings in Syria. However, one of the hostages told this author that Davis was the only one who had taken off his balaclava to answer the phone and had mentioned him by name without any hesitation. In fact, Robert Verkaik, journalist and author of Jihadi John, says in his interviews with the hostages that they were called the Beatles because their violent beatings not because of their number. Whether the Beatles were three members or four is debatable but what Verkaik shows is what terrible casualties of war they had become; these men veered from hate, atrocity and sadistic violence. This according to some led Davis to volunteer for a suicide bombing in Istanbul, Turkey. Speak to some of his friends in Syria and they cannot believe that Davis could do such a thing, but perhaps Davis and men like him were so alienated from themselves that such actions were possible. They were like Trellick Towers and Grenfell symbols of alienation. The former a reflection of brutalist art that rebels against harmony and celebrates dystopia in its very architecture, and the latter a husk of a building dressed in cladding to appear to be something which it was not. Perhaps Davis a product of that society was so removed from his troubled soul that committing such acts were perfectly possible. Ideology, foreign policy all may have been ‘exciting’ factors but at the heart of it, many of these men were so removed from their conscience that they lacked any reference points and recognised no authority but their own. Davis’ friends suggest a different narrative: perhaps the violence took its toll on Davis, perhaps he realised that ISIS’ authority turned out to be just like any other tin-pot dictatorship in the Middle East that relied on fear, terror and oppression. His friends say that Davis was trying to defect from ISIS, and whilst this claim is difficult to independently verify the anecdote is interesting in what it might reveal about Davis and his crisis of authority. Davis volunteered to carry out a suicide bombing in Istanbul in order to defect. He contacted Ilhami Bali, or Abu Bakr, a senior border commander for ISIS and Abu Sham al-Ansari, Necip Suleyman, administrator for the organisation. Davis had asked the two men to help him cross into Turkey from the Kilis area for a “short and important meeting.” This important meeting was, in the opinion of Turkish authorities, to engage in activities that would be “provocative” and “sensational”. On the 1st of November, 2015, Davis crossed over from the Karkamis border crossing close to Gaziantep. Once in Turkey he contacted al-Walid Khaled al-Agha. They arranged to meet and Davis travelled to a Silivri via Kilis, Konya and Ankara until he arrived on the 8th of November at the luxurious private villa inaccessible to the general public. There in Silivri, a picturesque seaside town popular with Turkish holiday makers, he met al-Walid, a Palestinian. Al-Walid grew up in London and was also the son of Abu Walid, the famous mufti dubbed to be the unofficial AQ mufti and boon companion of Abu Qatadah. Both were Salafi-Jihadi scholars and staunch opponents of ISIS. Abu Walid however, made his way to Afghanistan or Pakistan at some point and currently resides somewhere in Pakistan’s northwest frontier province having remarried. His son al-Walid has also claimed to be a vehement opponent of ISIS. Court papers report that he considered ISIS as “hell hounds” or Khawarij. If this indeed is the case, it begs the question as to what exactly Davis was doing with such a vehement hater of ISIS? Could it be that Davis was in search of that authority that would allow him to rescind his ‘oath of allegiance’ to his caliph? Oaths of allegiance are not trifling things to be broken in Islam. Al-Walid is considered a ‘learned’ man of religion’ coming from a Salafi-Jihadi tradition. He may have had enough authority for Davis to respect him, perhaps he was introduced to al-Walid in order for the latter to talk some sense into him. His friends believe that al-Walid convinced Davis that ISIS was on the wrong path or ‘minhaj’ and that Davis was asked to formally ‘repent’ and renounce the organisation- that is- break his oath of allegiance. Davis complied with this request and then somewhat naively asked if he could study with al-Walid hoping that he could just live in Turkey with a fake Syrian passport he had obtained from one Abu Muhammad in the Yusufpaša district in Istanbul until it all blew over. Perhaps Davis had finally found his authority, his ‘sheikh’, but by then MIT, Turkish intelligence services had swooped on them both. It is said that it was ISIS who informed MIT of Davis’ presence when he had gone AWOL. Although Davis’ story has ended with his conviction and he will now languish in a Turkish jail for a long time, his story illustrates several issues, firstly there is a profound sense of alienation and disenchantment amongst foreign fighters who join ISIS. Secondly, the lack of any sort of guiding hand or authority that could have helped the likes of Davis find his way was notably absent. Davis had little or no trust in religious authority and neither was there a powerful idea that could act as a substitute for such a ‘revolutionary’ vision that ISIS proposes. Davis remains an outsider before his conversion and remained outsider after his conversion in the UK. The only person who had a meaningful influence on him was another disenchanted black convert, Alexe Kotey, which will be covered in the next part. I hope these reflections will help developing a language that takes one away from the tropes and ideas often put forward by experts and journalists in the mad rush of a breaking story. NB. For any comments on this piece, feedback, sources, corrections do get in touch with me on Twitter @tamhussein. I am also grateful to @aronlund for suggesting the idea in the first place.